What’s your idea of paradise? Lying on a sunbed sipping a cocktail on a deserted beach? Sounds idyllic, but a toddler has a very different idea of paradise, and this usually involves getting muddy, exploring new things and an ice cream. Well, you can do all this and more on a day out at GreenWood Forest Park in North Wales. A lot of attractions can be geared up for older children and have a few bits and pieces on the side for toddlers, but GreenWood Forest Park really makes the effort to appeal to specifically to toddlers. 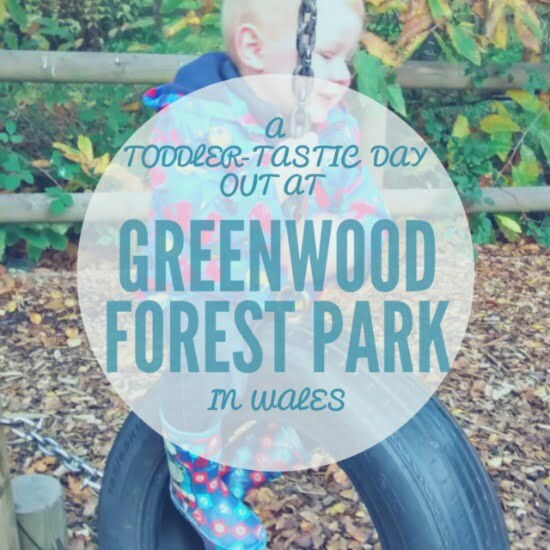 These are some of the reasons why GreenWood Forest Park is a great toddler friendly day out in North Wales. There is a Toddler Village which has a little slide, some ride on cars, a couple of wendy houses and a hoover (!) 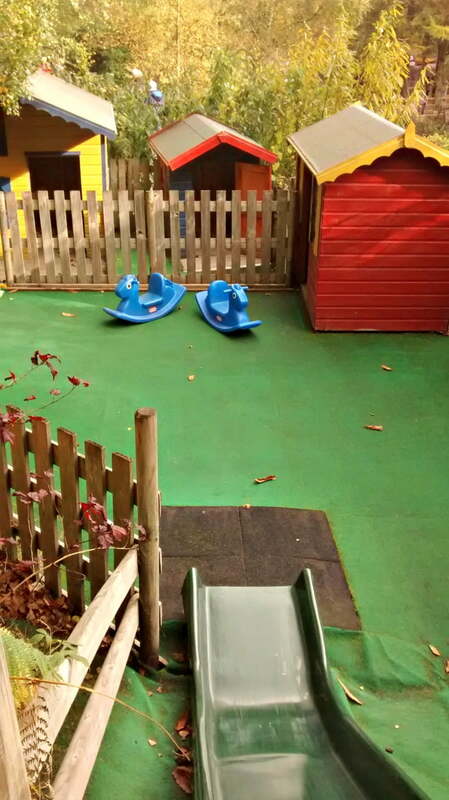 to play with – as well as seats around the edge for parents to relax in whilst supervising. 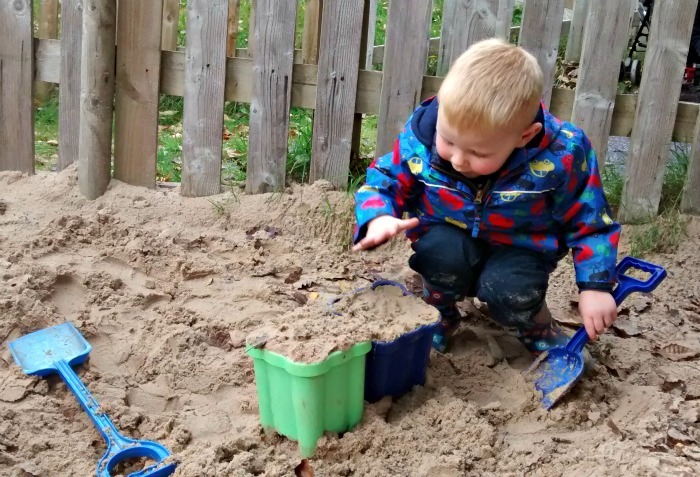 Across from the Toddler Village, there is a Sandpit with buckets and spades – another toddler pleaser. There is a Jumping Pillow (with special sessions for little ones) so they can do some bouncing and practice their gymnastics. Go on a Jungle Boat. Parents ‘power’ these boats by pulling themselves along using the ropes above their heads and a paddle. As well as enjoying being on a boat, toddlers will love spotting the animals which live in the trees above. Meet the rabbits which live in the Rabbit Village, before playing in the Tunnel Warren play area. 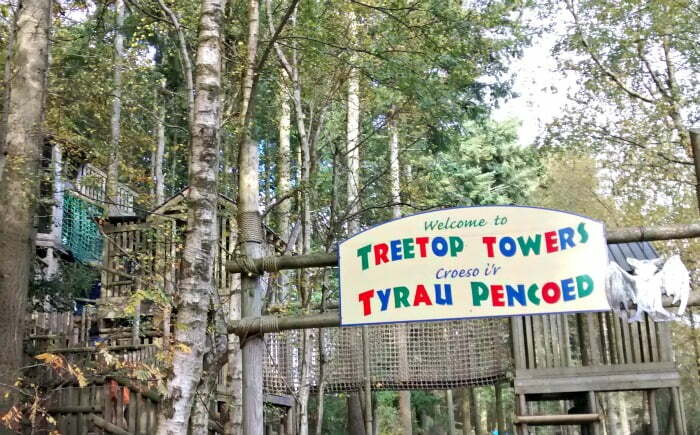 This is located next to Treetop Towers (amazing for older children) and has loads of tunnels, slides and rope bridges to explore, climb on and slide down. Again, there are loads of seats around the edge for parents supervising. Take your shoes off and go on a Barefoot Walk! 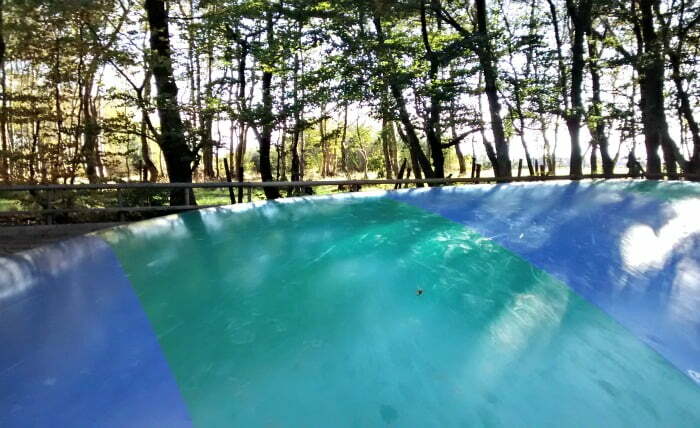 Paddle through water, walk on straw, through mud and on different surfaces as you go on an adventure through the forest. There is somewhere to store your shoes whilst you are on your walk and taps to clean feet afterwards. 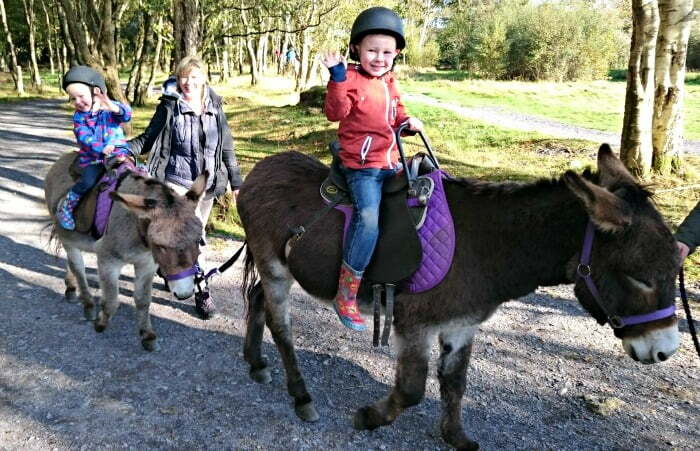 Go on a donkey ride (£2 each payable extra) – have a little wander round the forest on the back of an adorable donkey. 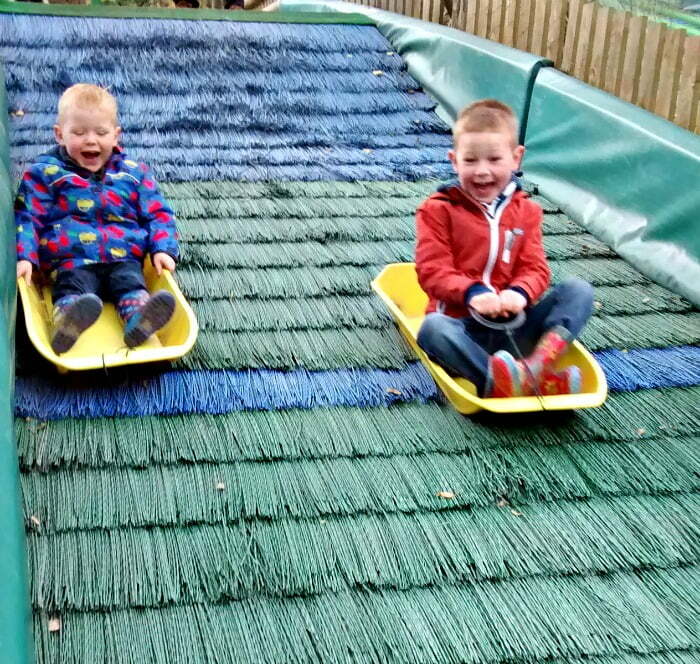 In case it rains, the Little Forest PlayBarn is an indoor soft play area for Under 3s. There is also a separate play area in the main restaurant for Under 3s so they won’t get trampled on by older children. Occasionally GreenWood Forest Park do issue discount codes – check their website for details. There is a restaurant onsite which serves sandwiches and snacks. A children’s lunch box (including a free gift!) costs £3.95. Wear sensible shoes as the forest can get muddy. Thanks to GreenWood Forest Park for a fantastic (toddler friendly!) day out.